While nothing has changed in the principal opposition party Congress over the past 5 years where Rahul Gandhi, a 5th generation dynastic politician heads the party (de facto earlier and de jure now), there are many similar examples found in regional parties across the country. Such an example is found in my home state of Karnataka too where the principal regional party Janata Dal (Secular) is led by former Prime Minister H D Devegowda. Surprisingly JD(S) is not a regional party as many of us think. Rather, it is just a sub-regional party which has limited influence in a handful of districts in the Old Mysore region of South Karnataka (which roughly translates to the Mysore princely state). In that regard, JD(S) is similar to Rashtriya Lok Dal in Western UP or Telangana Rashtra Samithi in undivided Andhra Pradesh or National Conference and People’s Democratic Party in Kashmir region of Jammu and Kashmir. One of the primary reasons that JD(S) is strong in Old Mysore region is that H D Devegowda himself hails from this region and belongs to the Vokkaliga community (colloquially called the Gowda caste). Vokkaligas form the majority community in many districts of Old Mysore. As the erstwhile Janata Dal party split in the state (similar to its splits across the country) into two – Janata Dal (United) and Janata Dal (Secular) in 1999, many stalwarts of Janata Dal like JH Patel, Ramakrishna Hegde, S R Bommai joined JD(U) whereas H D Devegowda formed JD(S) where he ended up as the ultimate authority (his animosity with Ramakrishna Hegde was a primary reason for this). With an undisputed control on the party he himself founded, he went about establishing complete control on the Vokkaliga community as well. Until then, Vokkaligas weren’t voting for any one single party en bloc. But with the emergence of H D Devegowda with a party of his own, Vokkaligas found a party for their cause. From there till today, it is safe to say that HDD & his party have literally taken the Vokkaliga community as a hostage to their politics. c) being close to power-center Bengaluru, JD(S) ends up holding the keys to control the state administration. This unique advantage gives JD(S) the opportunity to become the king-maker in Bengaluru. As times have progressed, JD(S) has continued to be the third party in the state. It has neither grown from strength to strength nor have the other parties been able to crush it out of relevance. During the early days of the party, the JD(S) did have limited success wooing the Kurubas, Dalits and Muslims, but splits, defections, expulsions of many leaders of these social segments have resulted in JD(S) shrinking to become a Vokkaliga- only party. H D Devegowda – 11th Prime Minister of India. MP from Hassan in the outgoing Parliament. National President of JD(S). Contesting against from Tumkur constituency for the 17th Lok Sabha. H D Kumaraswamy – Chief Minister of Karnataka. Son of H D Devegowda. MLA from Channapatna in Ramanagara district. Ex- State President of JD(S). Anitha Kumaraswamy – Wife of H D Kumaraswamy. MLA from Ramanagara (neighboring Channapatna) which was vacated by H D Kumaraswamy as he retained Channapatna. H D Revanna – PWD Minister of Karnataka. Son of H D Devegowda and elder brother of H D Kumaraswamy. MLA from Holenarasipura in Hassan district. Bhavani Revanna – Wife of H D Revanna. Zilla Panchayat Member in Hassan Zilla Panchayat. D C Thammanna – Transport Minister of Karnataka. Father-in-law of H D Ramesh (son of H D Devegowda). MLA from Maddur in Mandya district. C N Balakrishna – Younger brother of C N Manjunath (son-in-law of H D Devegowda). MLA from Shravanabelagola in Hassan district. K S Rangappa – Former Vice-Chancellor of University of Mysore. In-law of C N Manjunath (who is son-in-law of H D Devegowda). Unsuccessfully contested 2018 Assembly Elections from Chamaraja constituency in Mysuru. As seen above, H D Devegowda and his two grandsons are contesting as Mahagathbandhan candidates in the 2019 Lok Sabha elections. Remember that JD(S) is only fighting from 7 out of 28 seats (Congress is contesting the remaining 21 seats) and the family itself is contesting in 3 out of those 7. While Nikhil is trying his luck from Mandya constituency, Prajwal is contesting from Hassan constituency. 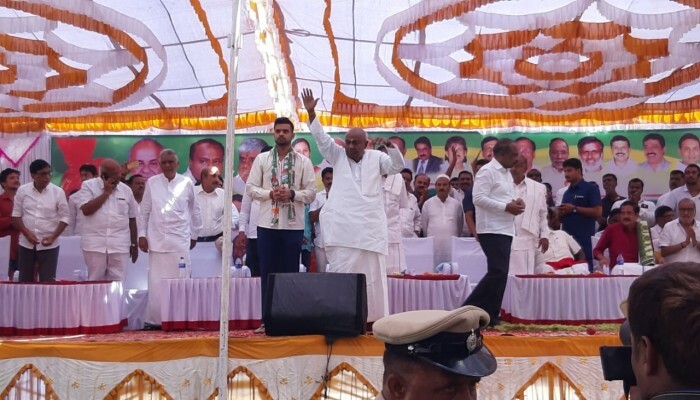 Hassan has remained the fortress of H D Devegowda for a long time and he vacated this seat to provide an ideal launchpad for his elder grandson. H D Devegowda is now contesting from the neighboring Tumkur Lok Sabha constituency. There is another pattern seen in the Devegowda family. Despite them being an MLA or an MP, just to get back to state politics or to play a vital role in Delhi, they seek to contest for the elections. A classic case was witnessed in 2014 when H D Kumaraswamy was already an MLA in Karnataka, but decided to contest from Chikkaballapura constituency hoping to become a king-maker in Delhi. However, the overall results were such that no king-makers were needed. Also, H D Kumaraswamy lost the elections. This kind of a practice of the family gives them a chance to stay closer to their community and also stay relevant wherever their presence is most needed (either in Bengaluru or Delhi). As they continue to contest elections, a common statement the family makes is how the national parties are scheming to gobble up the JD(S) party and how the family has to make the tough call to stand for elections regularly to avoid the situation where the party survives the onslaught. With just 2 days left for South Karnataka to go polls, BJP now has a golden opportunity to deliver the knockout punch to the JD(S). During the announcement of the names of the 2 grandsons as candidates, there was stiff opposition raised by the alliance partner Congress in addition to some sections of the JD(S) itself asking why the family was contesting from as many as 3 seats out of the 7 allotted seats (8 seats were allotted, but JD(S) returned Bengaluru North back to Congress citing lack of winnable candidates). JD(S) position in these 3 constituencies viz Hassan, Mandya and Tumkur cannot be taken for granted. In Hassan, a traditional stronghold of H D Devegowda, when it was announced that Prajwal Revanna would contest instead of his grandfather, A Manju, a powerful ex- Congress MLA of Arkalgud indicated he would not support Prajwal’s candidature, rebelled against the alliance and has now joined the BJP and will be contesting against Prajwal Revanna. Many other Congress leaders from the district and outside have been helpless as they could not express their displeasure in public against their own alliance partner. In the run up to the elections, the lack of co-ordination between the two alliance partners has been strikingly felt in the district. Will JD(S)’s massive strength in the district (it currently holds 6 out of 8 Assembly segments) be sufficient to pull it out of the mess that it finds itself currently in? 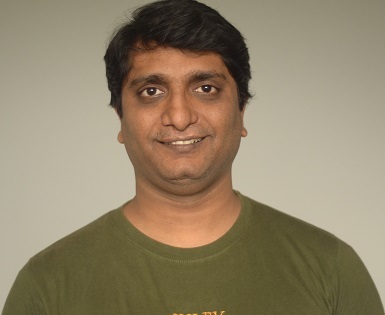 Will Prajwal Revanna be able to thwart off the challenge thrown at him by A Manju? May 23 holds all the answers. BJP candidate A Manju has to punch above his weight to dislodge Prajwal. BJP currently holds 2 assembly constituencies, while JD(S) holds 6. Congress held 2nd place in 4 of these 8 constituencies. Manju should not only get all BJP votes but also get a greater percentage of Congress votes to dent Prajwal’s chances. Right now, JD(S) holds all aces and Prajwal is well on his way to enter Lok Sabha from Hassan. Similarly in case of Mandya parliamentary constituency, where JD(S) had swept all 7 assembly segments in 2018, JD(S) has chosen yet another grandson. Again, this didn’t go well with Congress ex-MLAs and workers who openly expressed their displeasure and dissent. Sumalatha Ambarish, wife of Ambarish ex- Congress MLA, ex- Minister decided to put pressure on Congress high-command to allow her to contest from this seat. Congress tried to placate her by saying that as per alliance talks, it was decided to give Mandya to JD(S) and Congress would not want to take the seat back. Sumalatha was in no mood to listen and has now decided to contest as an Independent candidate. Many ex- Congress MLAs openly declared their support to Sumalatha. Taking advantage of this precarious situation, BJP decided not to field any candidate of its own but rather support the candidature of Sumalatha Ambarish. So, Mandya too, like Hassan, is seeing a situation where BJP and Congress grassroot workers are supporting Sumalatha whereas Congress top leadership and the entire JD(S) party machinery is working to make Nikhil victorious. Sumalatha herself was a popular actress during her younger days but her husband Ambarish was the most popular cine-star in Kannada film industry (popularly called as Sandalwood) after Dr. Rajkumar until his death in 2018. Many established film stars like Yash (hero), Darshan (hero), Doddanna (character artiste), Rockline Venkatesh (producer) now have decided to throw their weight behind Sumalatha. Yash and Darshan have been campaigning on the ground for Sumalatha “amma” as well. Nikhil Kumaraswamy himself has acted as the protagonist in 2 recent Kannada movies and his father Chief Minister H D Kumaraswamy himself is a noted film producer. This latest move has resulted in a virtual split in Sandalwood with almost everyone having an opinion on the election. For all practical purposes, Mandya is the heart of Vokkaliga land. JD(S) losing from this seat will not just be a disappointment for first timer Nikhil but a bigger embarrassment for Chief Minister H D Kumaraswamy and his party JD(S). Tune into any Kannada news channel and you will be excused to thinking that only Mandya is going to polls in the entire state of Karnataka. Not only are the media channels focusing on Mandya, even H D Kumarawamy has pitched his tent in Mandya to work hard for his son’s victory. Sensing an impending defeat, JD(S) leaders from the district started panicking and were seen abusing Sumalatha with just 2 weeks to spare. In contrast, Sumalatha and her “two sons” – Yash and Darshan have not made any loose statements and are leading a more effective campaign on the ground. Sumalatha is banking heavily on her husband’s goodwill in the district across party lines. BJP’s votes will be a definite plus to the independent candidate. As the polling date nears, cracks have appeared in alliance’s co-ordination on the ground and Sumalatha will want to make the best use of it. This leaves us with Tumkur where H D Devegowda is contesting. This is not H D Devegowda’s citadel. Tumkur has often in the past chosen BJP candidates during Lok Sabha elections. In the past 7 Lok Sabha elections, Tumkur has chosen BJP candidates 4 times. Here too, the sitting Congress MP S P Muddahanumegowda was denied ticket to hand over this seat to JD(S). Muddahanumegowda rebelled and even filed his papers only to be placated at the last minute by Congress leadership in the state. Out of 8 assembly segments, JD(S) holds just 3, Congress holds 1 while BJP holds 4. For H D Devegowda, this is the toughest seat to contest in. Devegowda is also considered to the prime reason why Tumkur did not receive drinking water canals from Hemavathi river from Hassan district. These old issues are cropping up now again to double down on the point that Devegowda has never been supportive of Tumkur’s cause and hence voting for him now would not help Tumkur in the future either. BJP’s candidate G S Basavaraj had represented this constituency in 2009 and hails from the Lingayat caste which has a very sizeable presence there. BJP is a potent force in Tumkur and Modi’s rally in neighbouring Chitradurga with Basavaraj on stage was a major success. It is pertinent to say that H D Devegowda is not a politician who has never tasted defeat. Rather, H D Devegowda has been defeated on multiple occasions. However, he has always lived to tell the tale and win in the next opportune moment. At the ripe age of 86, will he sign off with a victory or will he be humiliated for having vacated his seat to provide a launch pad for his grandson is a matter of interest across the state. If JD(S) wins all 3 seats – Hassan, Mandya and Tumkur – 17th Lok Sabha will witness a grandson and his two grandsons making a grand entry. This might probably be the first time this might be happening in the history of Lok Sabha. JD(S) would be desperate to see this happen as it would signify the passing of the baton for this dynastic party. BJP is generally weak in the Old Mysore region and has struggled to be the third player in many assembly segments. So much so, that in all state elections, BJP is forced to focus heavily on Coastal areas, Hyderabad Karnataka and Mumbai Karnataka regions to offset the low harvest from the Old Mysore region. BJP’s attempts to win these 3 seats now would help it to deliver the knockout punch to JD(S) and make it irrelevant at the national level. In the future, this would help the BJP to make further inroads in the Old Mysore region. If BJP can be a major player in those 83 assembly seats from the Old Mysore region and can win at least half of them, it would be a big boost to the party’s prospects to win back the state with a bigger majority.